window poster in support of the scheme. This can be downloaded from our website. from participating local traders. A plastic card will be sent through the post with your unique member number. 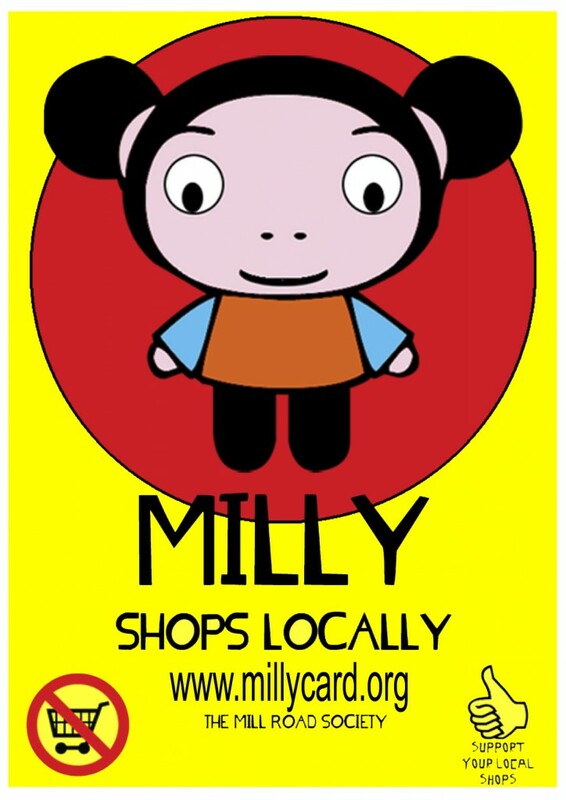 In advance of the launch of the new Milly card scheme for Mill Road at the Winter Fair on Saturday 5th December, please display the Milly window poster in support of the scheme! This can be downloaded from our website. You will be able to join the scheme at our stall outside Hilary’s Greengrocers at the Mill Road Winter Fair. The fee is £2 which will entitle you to all sorts of discounts and offers from participating local traders. A plastic card will be sent through the post with your unique member number. Click on the poster to create a printable version.